With a low hipped roof on a symmetrical 3 bay by 3 floor form, it’s classic late period Federal. 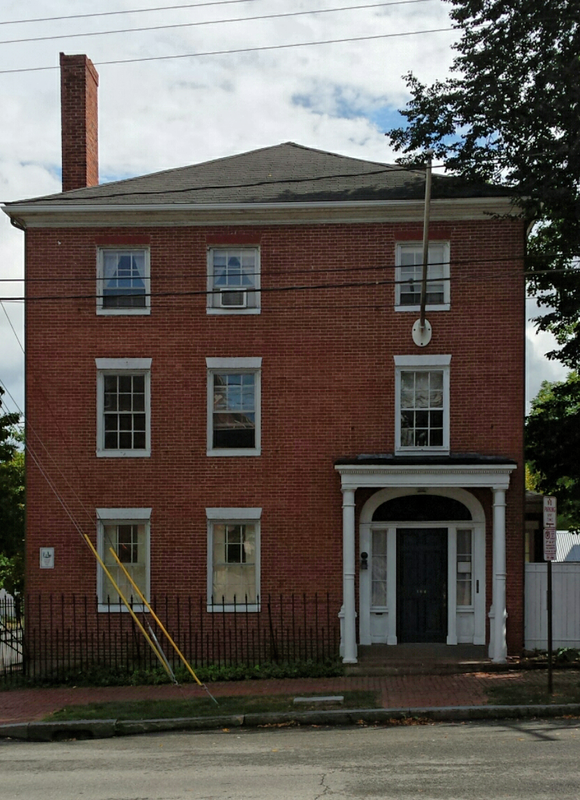 The Portland Historic Resources Inventory puts the date of construction as 1827. Built for one Zebulon Babson. The entry is pretty much what one would expect for the period. A very simple paneled door flanked by lights with a fan above. Attached columns carry the outside arch of the fan. They stand on paneled plinths that are attached as well. The front columns are freestanding and are odd to say the least. The capitals look the same as the attached columns as does the entasis. At the midpoint they get a bit wonky. It would seem that the original columns suffered some sort of failure requiring their lower sections to be removed. Whoever performed the repairs substituted a set of what appear to be porch columns to fill the gap. The 1924 tax photo does seem to show longer columns setting on plinths connected to a fence of some type. Also visible in the 1924 photo is a finely scaled balustrade above the entrance. This as well as the fence are long gone. Zebulon Babson was born in Massachusetts in 1789. His early years are something of a mystery. What is certain is he married Mary Parsons in Gloucester in 1817. 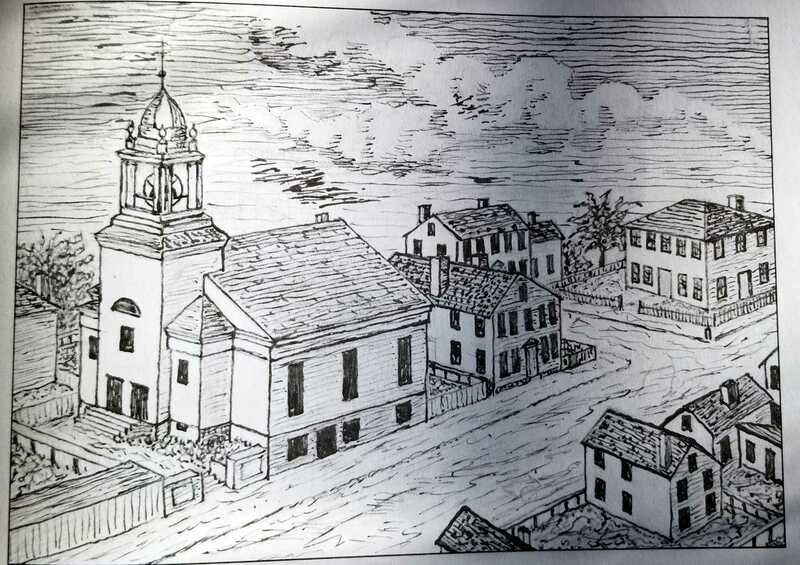 He purchased a plot of land between Congress and Cumberland Streets from Jacob Quincy in 1821. They were living on this lot and had 2 children, Harriet and Mary in 1823. Zebulon sold groceries from the head of Long Wharf. By 1827 they had moved to Hancock Street and had 2 more children, Washington and Sarah. Babson purchased the land for our subject from Joseph Holt Ingraham in 1825. At this same time, he purchased a pew in the First Baptist Church then located on Federal Street. The city directory of 1844 says Babson ans his son were both working out of the house on Danforth. Zebulon was listed as a trader while Washington was not shown as having any avocation. He may have been working with his father but this is uncertain. 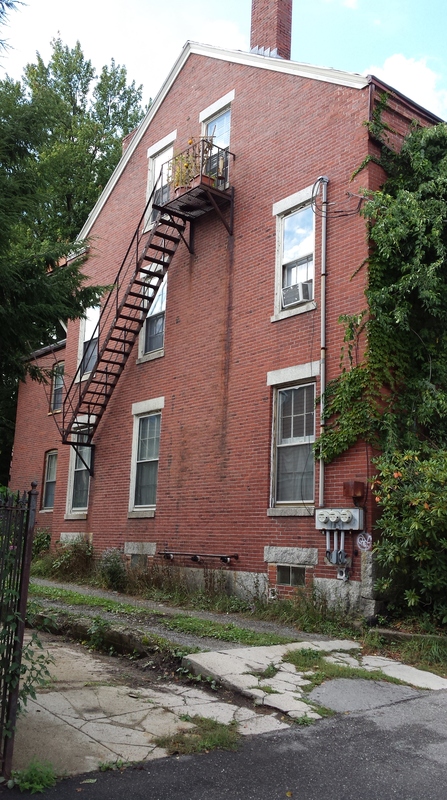 Zebulon sold our subject to William Widgery Thomas in 1847 and moved to Brown Street. A final, sad, note on Zeb Babson. Mary, his wife of 47 years, died of consumption in late August of 1865. Zeb died a mere 11 weeks later. His cause of death was ‘casualty’. No other info is noted. 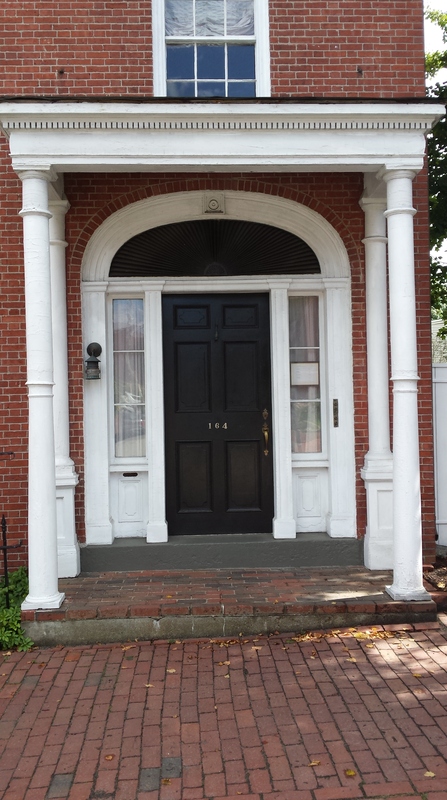 This entry was posted in Architecture, Brick, Danforth Street, Federal style, Glimpses, Greater Portland Landmarks, History, Images and tagged Architecture, Brick, Federal style, History, images, Maine, Portland on September 16, 2016 by alewifecove. Interesting observation on the columns. Wonky is quite fitting. I am the owner since 1988, agree totally, I screwed up big time on the wonky “repair”. Thank You for your candor. Were the bottoms deteriorated? Yes all rotted. Babson’s ancester Elizabeth , a widow, came from England in the 1620’s to Gloucester (Pigeon Cove now Rockport.) with her son. All U.S. Babsons go back to her. Zeb had a store in our side yard, he was forced to sell to Thomas in 1847 for $2750., the store was torn down in early 1900’s as part of the sale by Thomas (Elias). Width of the lot has changed, Zeb made 3 separate purchases starting with 40′.